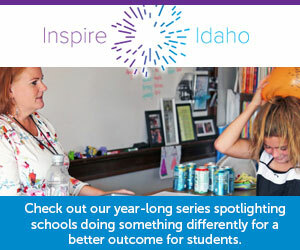 Idaho parents: The state wants you! No, really. This spring the State Department of Education is asking parents and school staff to fill out an “engagement and satisfaction survey” as a way to gauge school quality. The surveys are part of a new accountability system for Idaho education approved by the state and federal governments in recent years. Students took state surveys for the first time last year. This year staff and parent surveys were added to the mix. Moving forward, all three groups will be surveyed annually and survey results will be published on a state report card which comes out in August. Superintendents across the state told Idaho Education News that they are prepared to roll out the online surveys, which open on April 15. While district leaders said parent feedback is an important part of planning for school improvement, many superintendents pointed out that they already do parent surveys independent of the state. In at least one school district, administrators are concerned that the extra requirement could contribute to survey-fatigue. Parents and staff can fill out online surveys from April 15 to May 17. Each district is tasked with getting the survey link to parents. The survey is available in both English and Spanish, and the responses are anonymous. The state estimates each survey should take about 5-10 minutes. “The purpose of this survey is to help your child’s school improve,” the survey description says. Staff questions focus more on the workplace dynamic, touching on school culture and workplace support. The State Department of Education requires districts to get survey responses from 90 percent of students and 95 percent of staff members. There is no set requirement for how many parents must respond to a survey, said Karlynn Laraway, Director of Assessment and Accountability for the State Department of Education. The department published a communications toolkit, which includes templates for letters, postcards and social media posts that districts can use to notify parents of the poll. Superintendents across the state had varying expectations for how many parents would respond to the surveys. Josh Middleton of the Middleton School District said he’d like to see at least a third of parents respond to the survey. Scott Woolstenhulme, of the Bonneville Joint School District, said the district has no set goals for how many parents complete the survey. The district just did it’s own parent survey within the last few months, he said. Asked about the accessibility of the survey — which is offered only online — Laraway said that it is available on multiple devices and many schools are thinking outside the box about how to get the survey to parents. Some schools, she said, plan to give parents access to the surveys at in-person events like ice cream socials and baseball games. One way districts can reach parents who might need the surveys translated into a language other than English or Spanish is to have access to surveys and interpreters at these kinds of events, she said. Hollar, at the Boise school district said that while most of the districts parents have access to email addresses, district officials plan to work with schools to identify and help any parents who need translation or access help. “Accessibility is yet to be determined in this initial rollout,” Weiser school district superintendent Wil Overgaard said of the parent surveys. In the future, Overgaard said, he might recommend that the survey period overlap with parent teacher conferences, so districts can help parents access the survey at their child’s school.